When the caravan made its way from Ranchi’s Harivansh Tana Bhagat indoor stadium into the Thyagaraj Sports Complex in Delhi to kick-start the ninth week of the 12-week-long tournament, neither were there clear favourites nor confirmed eliminations. This was not be the case anymore as the fogginess around the table cleared at the end of the ninth week that saw the home team, Dabang Delhi falling for the home curse and the eliminators door opening a tad bit wider for a few teams in the bottom half of both zones. The only common thread between the nine weeks of action so far has been the horrendous form of the home teams barring Gujarat Fortunegiants who remained unbeaten and Patna Pirates who won four out of their six matches. With the Haryana Steelers, Bengaluru Bulls, U Mumba and Bengal Warriors winning just two out of six matches and UP Yoddha managing a solitary win and a tie, the home curse seemed to be spreading faster with every passing week. Till the Delhi leg happened, Telugu Titans had the misfortune of being the worst performing team on the home leg when they lost five out of their six home games. 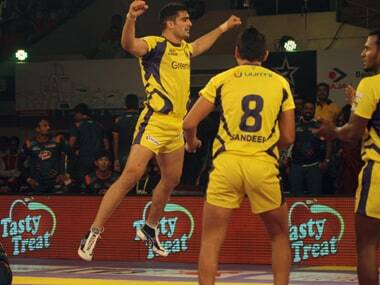 Then, Dabang Delhi had one of their worst ever runs in Pro Kabaddi League across all seasons. They were outplayed and outclassed by every team and managed just a solitary point from a possible 30. Delhi couldn’t win a single match on their home turf and continued to languish in the bottom of the Zone A table with a nine match winless streak. 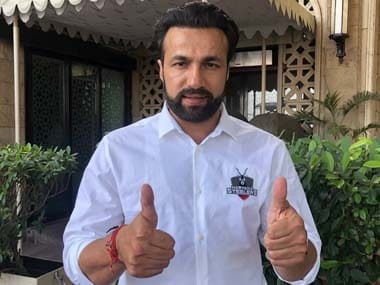 The form of Dabang Delhi has always been sketchy across the previous four seasons, but the team took a major hit this season with a point difference of a whopping -109 points telling the story of the Delhi team in the Pro Kabaddi League season 5. One other commonality from Week 1 in Hyderabad to Week 8 in Ranchi has been the number of ties that happened across all the legs. No team could relax even a bit as there were instances of teams being forced to embrace a defeat after enjoying a strong lead in the first half and clinching victories from the brink of certain defeat. Since the opening week in Hyderabad, every leg has seen an encounter that saw teams share the spoils. Though the fans of Delhi, were part of some thrilling encounters that saw 6 out of the 11 matches ending with less than five points separating both the teams, they failed to witness a single drawn encounter that had become the norm in Season 5 of Pro Kabaddi league. Telugu Titans- A tale of too little too late? The Rahul Chaudhari-led team from Hyderabad kick-started the Season 5 with a win and have faltered ever since in every leg. The Telugu Titans came into the Delhi leg with just four wins in their 17 matches and a spot in the knock-out stages being a distant dream. The team that had finished second in the points table in Season 2 and 4 of PKL were one of the major gainers from the Delhi leg. Though the team did have their moments in this year’s PKL, it became a rarity and came few and far in between. The team didn’t live up to its billing and were slowly sinking into oblivion in the 2017 installment till the team rallied around its captain Rahul Chaudhari to bring a semblance of resurgence to their flagging fortunes. But, would this upswing result in result in something substantial for the Telugu Titans depends on them continuing their winning form in their three remaining matches and a lot of other results going their way. A place in the eliminators might be a pipe dream for the Telugu Titans now, but there certainly seems to be a flicker of light that has started to shine at the end. Will the leaders stay on top till late October? Zone A is now led by the newcomers Haryana Steelers and Gujarat Fortunegiants who have played 18 and 16 games respectively. However, Puneri Paltan are strong contenders for the top spot, just 12 points away and having played six games lesser than the table toppers. 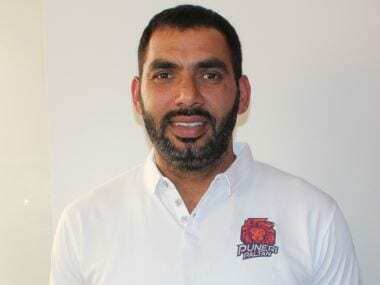 Though the Season 1 champions, Jaipur Pink Panthers, still stand a chance to make it to the knock-outs, their present form and persisting injury woes makes it a long shot for the Manjeet Chhillar-led team. After a shaky start to this edition, the impressive comeback of Season 2 champions U Mumba makes them the other major contender from Zone A who have a foot firmly in the door. The biggest concern for the Anup Kumar-led team will be the lack of matches and their qualification hinging on the results of the other teams in a zone that is rightly referred to be the zone of death. Zone B seems to be much more settled with defending champions Patna Pirates, Bengal Warriors having cleared their paths to the knock-out stages with four matches to go. The third place is now being held by the UP Yoddha and they might just hold on to that unless Tamil Thalaivas continue their new-found ability to win the crucial moments or the Telugu Titans pull off something miraculous. 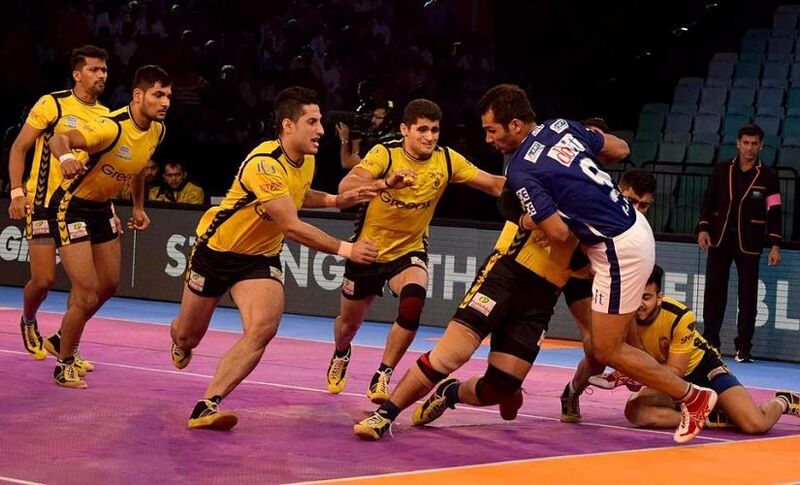 Tamil Thalaivas – Peaking at the right time? Prior to the Delhi leg, Tamil Thalaivas, a predominantly young team, managed just two wins out of their eleven games and were at the bottom of a table that had the likes of Bengaluru Bulls and Telugu Titans who were themselves battling with a torrid season. 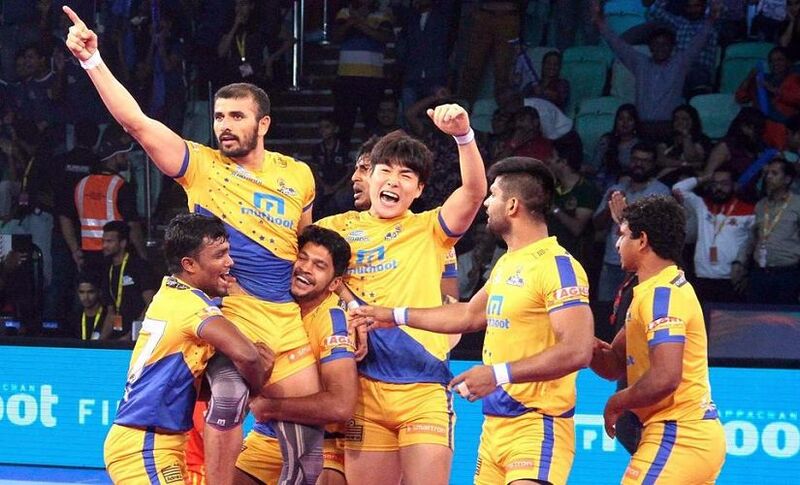 With 16 out of the 25 players in their squad being first-timers in the PKL, the team from Tamil Nadu were burdened by the patchy form of their captain and marquee player Ajay Thakur and the lack of experience of the young team to finish off close matches. Barring a single match where Tamil Thalaivas lost by a 11-point margin, every encounter has been a closely fought one with the point deficit not exceeding five points. They seemed to not be able to make the final push that would see the team first across the finish line. However, the team from Tamil Nadu where the sport of Kabaddi is said to have originated have learnt from their past mistakes and worked on this exact issue. 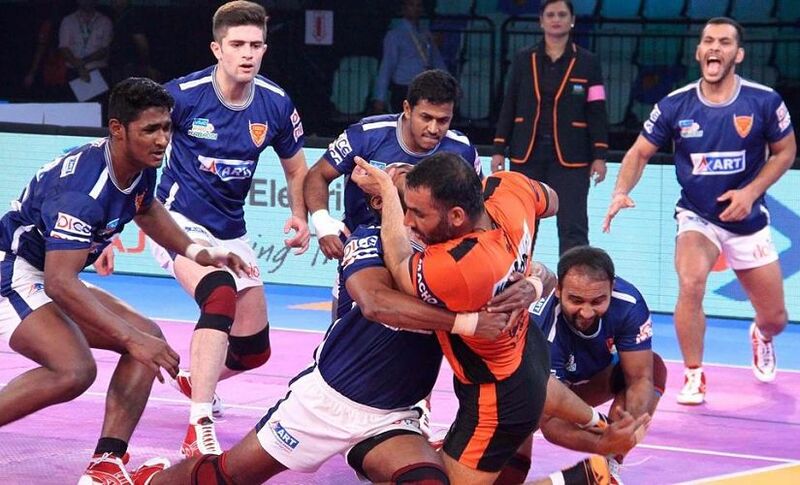 The team has started to rally around Ajay Thakur who has now regained his form and has led his team from the front. Thakur and the young raider Prapanjan have been the architects of those Tamil Thalaivas wins in the thrilling matches in Delhi. With nine matches left to play and considering the new-found ability of the Thalaivas to finish on the right side of a close match, they seem to now have a solid chance in qualifying for the knock-out stages. The tournament seems to have just started for the Thalaivas and a lot of other things has to work in favour of the new-comers to facilitate their hopes of reaching the business end of the season. With the team now moving on to home turf, it would be interesting to see if the Tamil Thalaivas continue their resurgent run and break the home jinx or succumb to the pressure of performing in front of a spirited home crowd.